Container spot rates from Asia to North Europe slumped below $700 per teu this week, losing a further 3.9% in value. They now stand at $686 per teu, while for Mediterranean ports, rates slid 5.8% to $652 per teu. In January freight rates per teu for both were in excess of $1,000. The return of the Shanghai Containerized Freight Index (SCFI) this week, after the Chinese Golden Week holiday, confirms spot rates for the trade are continuing to slide and are now trending below long-term rates. Given that the short-term market has been proven to have a significant impact on annual contract rates, carriers will be using all and any ammunition in the coming weeks to prop-up the spot market, including radical service cuts via blanked sailings. In its Ocean Freight Shipping Prices Review presentation yesterday, Michael Braun, director value engineering at freight rate benchmarking analyst Xeneta, noted a “significant change in the last couple of weeks”, and that “for the first time in 18 months we are seeing the long-term and short-term markets on the same level”. Mr Braun said there were indications from Xeneta’s crowd-sourced data that spot rate erosion was already beginning to drag down freight rates on recently concluded longer-term contract deals. And, in a separate blog by Xeneta chief executive Patrik Berglund, there was a “beware” warning to the industry that the market could be “turning for the worse”. However, Mr Berglund added the caveat that the market was “still healthy for liners”, given the rate restoration progress made in the first three quarters of this year. 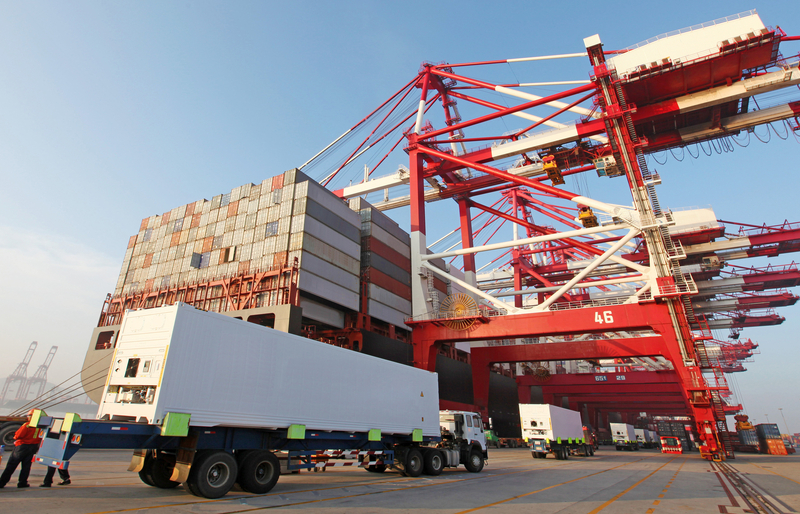 However, carriers have yet to announce their winter blanking programmes – suggesting either that a rate war is looming or that there will be a drastic culling of voyages, as lines appear to be taking steps to push rates back up ahead of contract negotiations with shippers. Indeed, The Loadstar has seen several FAK (freight all kinds) customer advisories in the past two weeks, including those from CMA CGM and Hapag-Lloyd. The French carrier is looking for new FAK rates from Asia to North Europe of $1,050 per 20ft and $2,000 per 4 ft, from November 1, valid for 15 days. However, Hapag-Lloyd has pitched its FAK rates, for the same date and duration, at a slightly lower $950 and $1,800. Meanwhile, the SCFI recorded a big 9.5% drop for spot rates from Asia to the US east coast, taking the rate down to $1,801 per 40ft. For the west coast, the damage was not as severe, dipping 3.3% to $1,367 per 40ft. The rate erosion on the transpacific has been significant since the beginning of the year when spot rates were at $2,167 per 40ft for the US west coast and $3,647 for east coast ports. Mr Berglund noted that the transpacific trade had also experienced a “narrowing of the gap” between short- and long-term markets in recent weeks. According to Xeneta data, on August 1, the market average for short-term rates for the US west coast stood at $1,816 per 40ft, compared with the long-term average of $1,397 – a differential of $419 between the two markets. But by October 11, the gap had narrowed to just $173. Fewb rates have been falling at origin for six weeks. Current spot rates from Mpl in prc to Europe are usd600/950/1000 plus lss, Uk is usd 25per teu higher. These rates are freely available from master loaders and indeed many local Chinese forwarders. The Chinese forwarders are now targeting European customers direct, which is undermining long term BCO liner deals. I am surprised that this has not been mentioned in any of your articles.